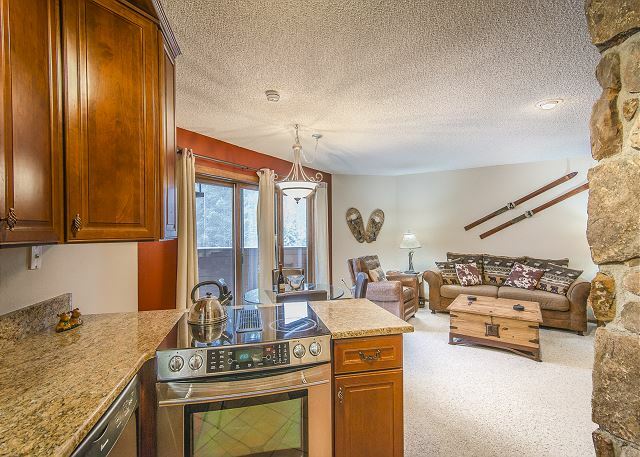 This is a very spacious and tastefully remodeled 2 Bedroom 2 Bath in Old Town Winter Park. 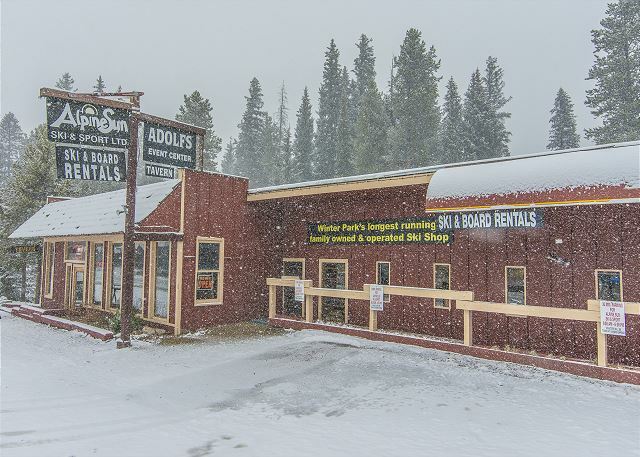 Enjoy the peacefulness of Old Town while still being only a half mile to the ski base area of Winter Park. Free shuttle to get you to the slopes and a great restaurant and ski shop just next door make its location very convenient. 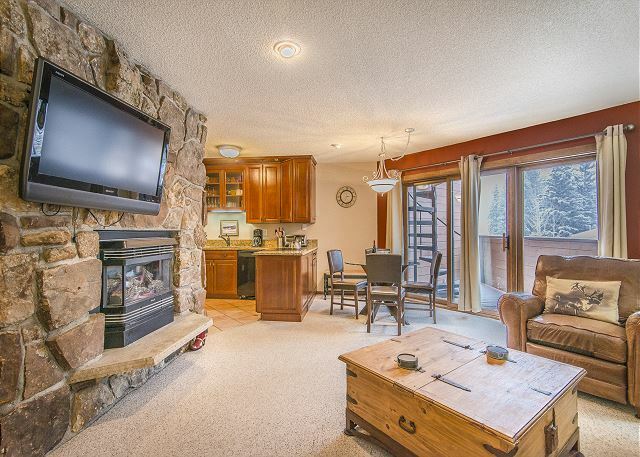 This two level unit offers spectacular views of the ski trails from both balconies. There is a balcony on each level of the condo with a really cool outdoor spiral staircase that connects the two balconies. The master bedroom suite on the upper level is very roomy and offers a degree of separation and privacy from the rest of the condo. 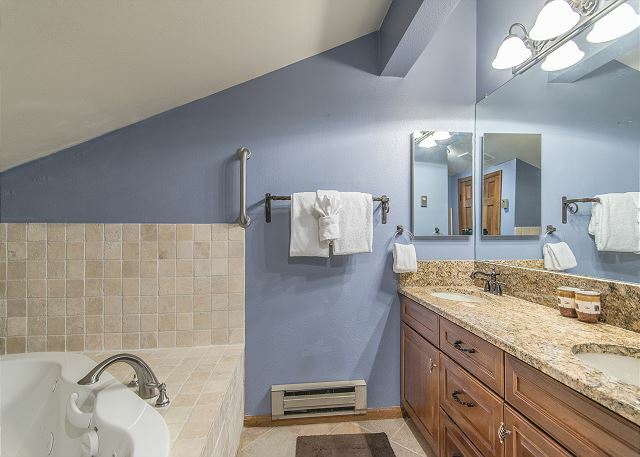 The master suite has a luxurious five piece bath which includes a large shower and separate Jacuzzi tub which is very comfortable for two people!! The open floor plan in the main living area makes it a pleasure to relax and entertain with your family. Modern updates include stainless steel appliances, granite counters, new kitchen cabinets, comfy couches and new bedding. Free WiFi. 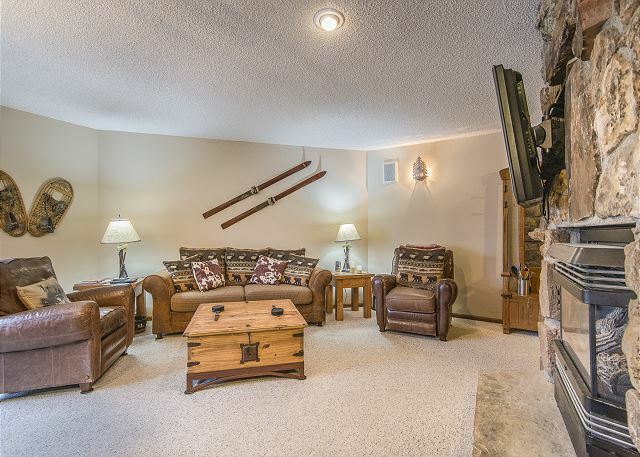 This condo is guaranteed not to disappoint for any Winter Park holiday!!! Community hot tub and sauna in the building. There is a ski shop and a great restaurant and bar located right next door. DOGS CONSIDERED ON A CASE BY CASE BASIS. Located right next door, they offer 20% off with advanced bookings. 15% off for same day bookings. Just mention your unit number. This condo was very nice! 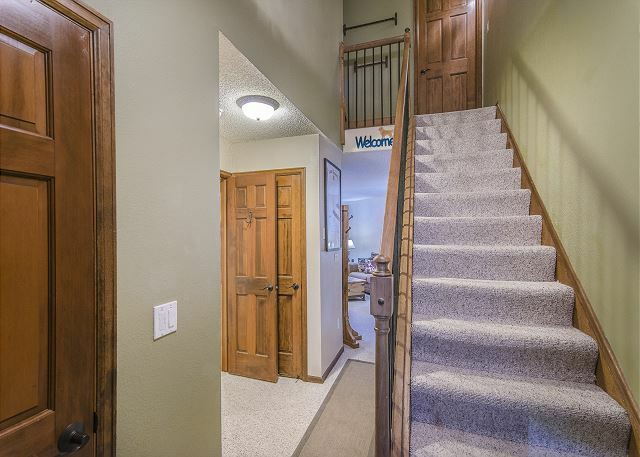 Spacious and comfortable with newer appliances. 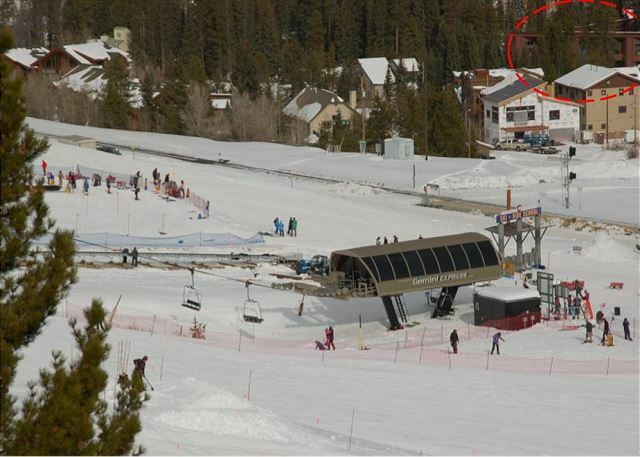 Shuttle right across the street was last stop prior to the Winter Park drop off made for quick access to the slopes. If available, I'll stay here again! The place was as advertised. Well stocked with everything needed. Very comfortable beds. The owners were organized and very responsive to any questions. Thanks for choosing this property for your vacation. We are very happy to read that you were pleased with the condo and that we were able to meet your expectations in regards to customer service. Thanks for staying with us. Glad to hear that you had a good experience and we hope that we will hear from you again, when it is time for you to plan your next visit to this nice 2 bedroom condo at Winter Park Place. We had a great time at this unit. It's close enough to walk to the village (my 9 year old only complained a little), you can see the discovery lift from the balcony. Plenty of cookware, clean, comfortable. 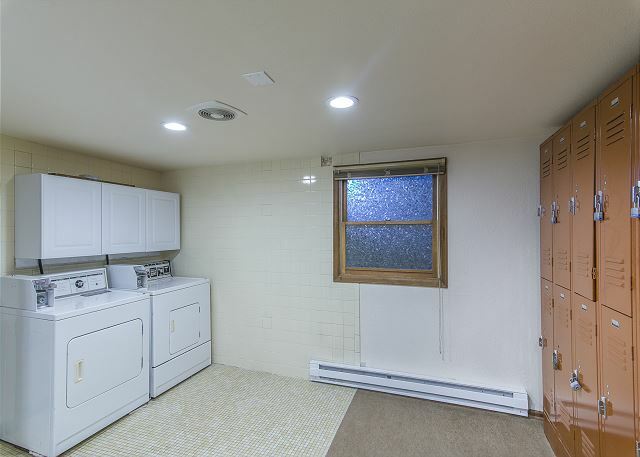 Only complaint is the plumbing needed attention. Bathtub upstairs ran a constant stream of hot water (not a drip thank goodness), shower downstairs was really tricky to adjust to the right temp. A visit from a plumber and this place would be straight up 5 star. Thanks for taking your time to write about your stay. We did have a plumber in there to fix the upstairs bathtub. Happy to hear that you had a great time and that you enjoyed the condo and the location. Hope to see you back out here again next time you plan on visiting the beautiful Winter Park. Close to the lifts and very spacious. Thank you Phyllis for leaving your response. We are glad you enjoyed your stay and would love to have you back again any time. Winter Park Place was the perfect location for our summer vacation. Spacious. Comfortable. Fantastic views. Stress-free. Felt like we were home. Fully furnished from kitchen to toiletries. This property exceeded our expectations. Thank you Maryann for your kind words with your feedback. Winter Park Management always loves to hear when our guests have a great experience. We want to thank you for taking excellent care of the property during your stay and would love to have you and your group back again any time. Take care and enjoy the rest of your summer!!! We found this to be a clean well maintained condo. The property manager was responsive when we wanted to extend our stay by one day with short notice. Thank you Jeffrey for leaving your feedback. We appreciate that you had a great time and we would love to have you and your group back again with us. Take care. This was a great find for our two-day quick ski vacation at Winter Park. The beds were great, plenty of places to sit in the main room, and a good functional kitchen. The shuttle bus was super convenient because the next stop is the ski area. Only drawback - the fireplace in the upstairs bedroom had a pretty loud vibration that needs fixing. But overall a great experience. Thank you for taking the time to write out a review for us. 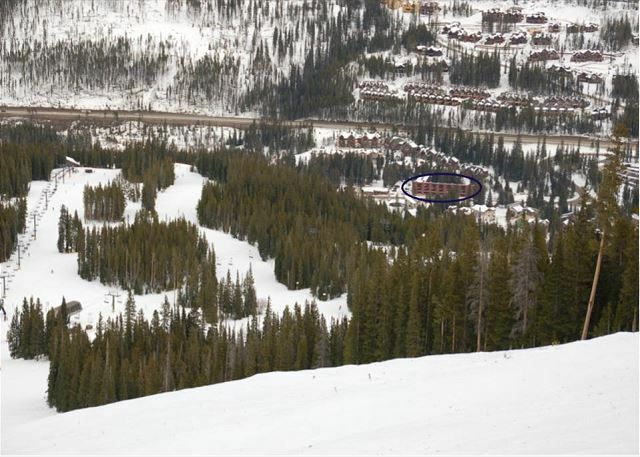 We are pleased you had a great time at Winter Park and look forward to a return visit with us. We will have our staff take a look at the fireplace noise and thanks again for a heads up. Take care. 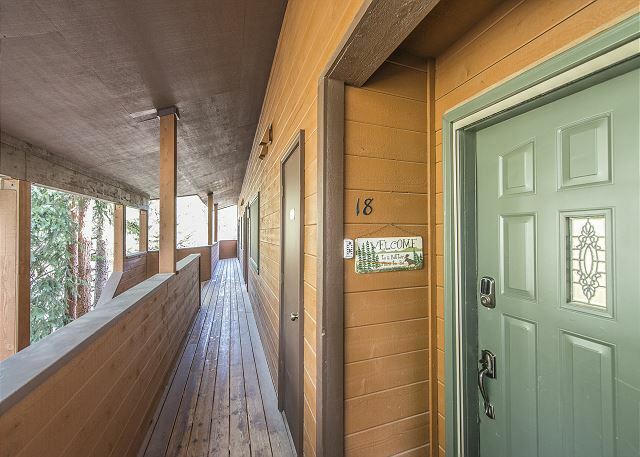 Unit 18 is quite convenient to the ski slopes and is across the street from the Shuttle stop. We wore ski gear directly to the drop off at the bottom of the Zephyr Lift. Kitchen is very well equipped. Recommend it. We were quite pleased with our rental of this property. Very nicely decorated and plenty of equipment to make all of our own food. Location was so easy when we were going skiing, the shuttle was right across the street. Nick the manager was helpful when I asked to extend our check out time due to my husband breaking his ankle , it took us a bit longer getting packed and out the door. Great place! I'm glad we were able to accommodate you properly and you enjoyed your stay. Hope your husband gets well soon and to hear from you soon! On our arrival our vehicle got stuck in the snow because the driveway was not maintained. There were stains in the pillows and sheets. The condo was not vaccumed prior to our arrival as there was doghair everywhere that stuck to our clothes. The Bedroom Fireplace makes a loudnoise if it's on for more than an hour. Loud entrance, can hear doors slamming and creaking from people walking outside. Location, view, and interior decor were great. Thank you for your review. We are sorry to hear your stay was less than ideal. The pillows have been replaced in the condo. This could have been done immediately if you would have let us know during your stay. Unfortunately we have no control over the snow removal and have called the management company that handles that to make them aware of that issue. Next time just let us know if you have any issues during your stay and we can address them immediately. Great Condo for the 5 of us. We really enjoyed our time there. We caught the bus to and from the slopes and it was about a 5 minute ride. Appreciate you taking time to write about your recent stay at this nice 2 bedroom @ Winter Park Place. Glad that condo worked out of you and your family and that you had a great time. families with room to spare! Place was beautiful!! Also loved having the garage!! Definitely would stay here again! Thanks for taking your time to write about your stay. Glad that you liked the place and that you had a great time!! This condo is in a great location and we absolutely loved staying there! 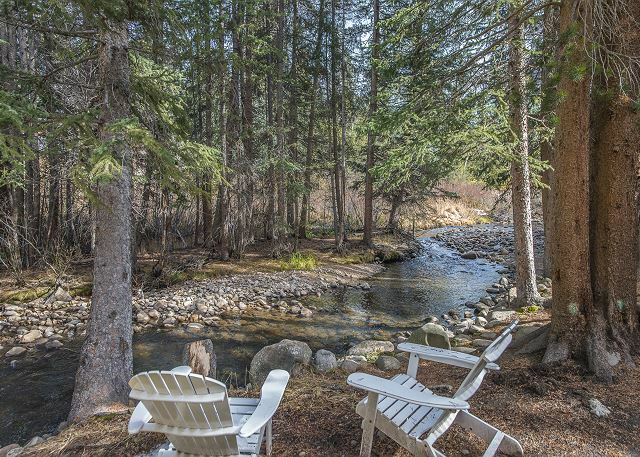 There is a small stream behind the condo that is great to sit and relax during your stay. I can't say enough positive things about it!! We can't wait to go back!! Great time, although, remember to pack soap, shampoo & conditioner, it is afterall a VRBO. Easy to deal with, quick & friendly service. Thanks for taking your time to write about your recent stay at this 2 bedroom @ Winter Park Place. I will get staff to check on the shampoo/body wash and conditioner. Should be in each bathroom!! Loved the place, however the master tub wasn't working and it didn't get fixed during our stay which was a little disappointing. Overall it was cozy and beautiful and I would definitely stay there again! Winter Park Place is wonderful. It is close to the resort. You can walk to the resort or catch the bus out your door every twenty minutes. 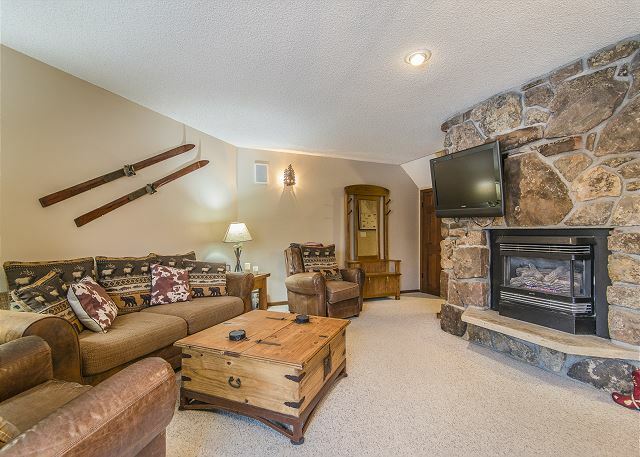 The property was immaculate and had every convenience. We have traveled extensively and this management team is the best. Thanks for taking your time to write about your recent stay at this nice property at Winter Park Place. Glad that you liked the place and that Nick and I were able to meet your expectations! Hope to hear from you again next season!!! Overall, the accommodations were very good. My only issue was with the mattress for the bed in the upstairs bedroom. It was so uncomfortable I had difficulty sleeping. It is definitely in need of replacement. Appreciate you taking your time to write about your extended stay at this nice 2 bedroom @ Winter Park Place. I will forward your feedback to the owner of the property and if they will not allow for a replacement of the mattress, at least we should get a mattress topper in. I will swing by property to see what is wrong with bed. Some people like soft beds ...other hard beds. Maybe this was just not the right "firmness" for this guest - but regardless, I will look in to it to be sure that nothing is wrong / springs broken etc. Overall experience was great. The unit is beautiful and the location was most convenient. Thanks for taking your time to write about your stay at this nice 2 bedroom @ Winter Park Place (Old Town) Pleased to learn that you had a great trip and that like the condo! Stayed in the condo for a weekend with my teenager. Everything was clean and comfortable. Couldn't figure out the bathtub. The front door has the coolest combination lock ever. You'll see what I mean. It made me chuckle every time I used it. Worked perfectly. Thanks for taking your time to write about your stay. Glad that you found condo clean and comfortable!! 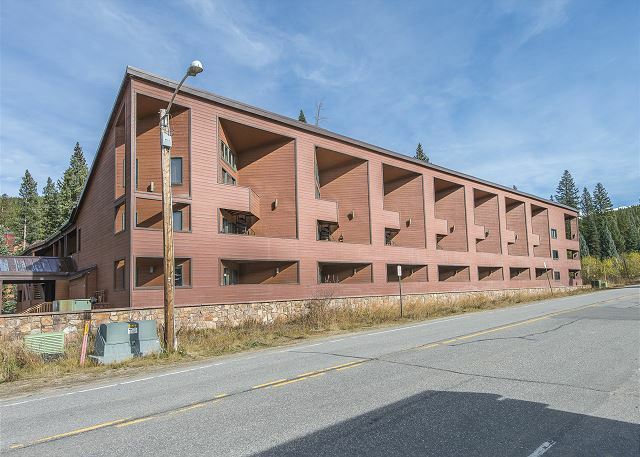 Absolute great condo with excellent location to the mountain! We will definitely be back. AND, eat hot dogs at Fraser Valley Hot Dogs!!! 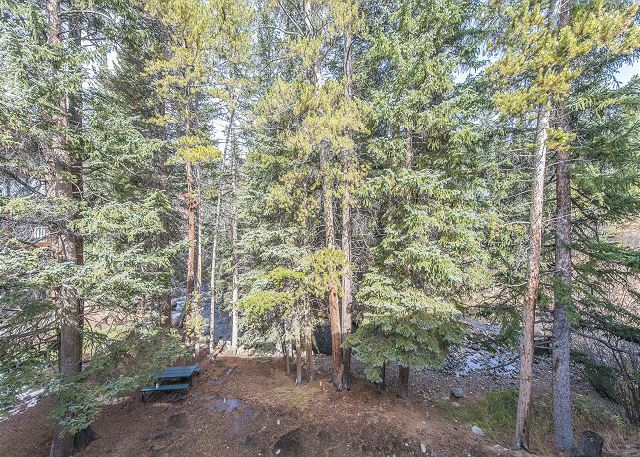 The property was close to the bike trail and a short drive or bike ride into Winter Park. The condo is on the river which is beautiful, unfortunately we looked out on the road. The unit is on the second floor with no elevator and the master bedroom & en suite is on the second floor of the unit. It is nicely decorated, clean and comfortable. Booking was easy, however Charlotte was displeased with our entering the condo before 4:00 PM, even though it was ready. This has never been the case in the past when renting through VRBO. Thanks for taking your time to write about your stay at this 2 bedroom at Winter Park Place. Pls note that I was not displeased with guest entering early - would just have liked to know so we could have finished up what we had planned that afternoon (before guest entered the unit) Instead we pushed it out to after their stay as we did not want to enter the condo while guest was staying there. We enjoyed our weekend at this wonderful condo. It is near the bike path, great mountain biking trails, the Trestle bike park and other base area activities as well as hiking. We loved being right on the Fraser river and hearing the sound of the water. The unit was very comfortable and had everything we needed. Thanks for taking your time to write about your stay at this nice 2 bedroom @ Winter Park Place. Nick & I are very happy to hear that you enjoyed your weekend and we hope that you will consider contacting us again ...should you plan on coming back to Winter Park!! We have stayed twice in this unit for spring break ski trips. It is a perfect place to stay for convenience. 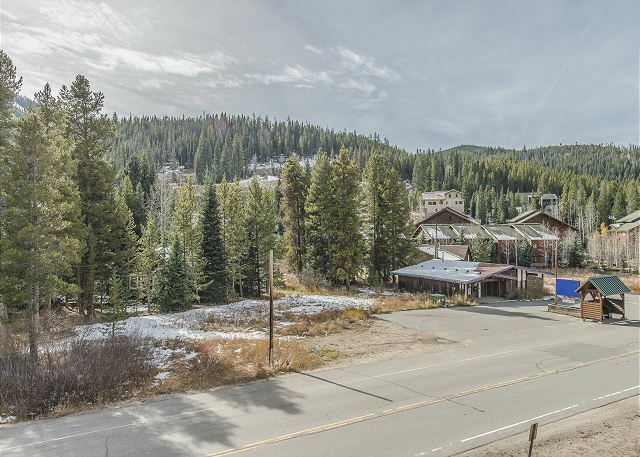 It has a five minute bus ride to the base of winter park. A five minute ride to the town of winter park. 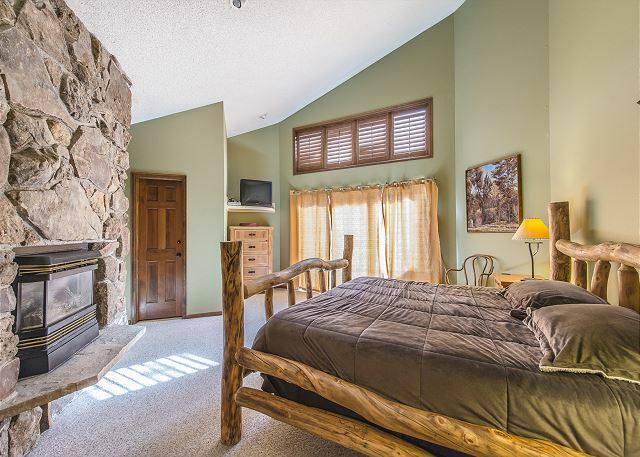 Nice unit with a nice big master bed and the whirlpool tub was great for after skiing. It has a really nice homie feel. For the money you can't find a better two bedroom in the area. We will stay here again. Overall very nice. Two items probably need attention...the beds (springs are starting to be noticeable when sleeping...needs replacement). And I think the hot water heater was going out. We couldn't have a tub to enjoy the 2nd night, and were only able to grab a quick shower before it ran out again. Otherwise comfortable and good location. Much nicer than I had anticipated, 2 stories. Thanks for taking your time to write a review - and thanks for the all 5 star rating. Glad that you found the condo nicer than expected!!!! We stayed for only one night, which I regret! The place was very clean and comfortable. The kids loved the master bath tub. King bed was very comfortable. Lots of great movies in the storage closet under the stairs. I'll definitely come back. Great location, great accomodations and fantastic management team. We'll be back again for our third stay next winter! Thanks SO much for taking your time to write this feedback. I will personally make sure that we will be ready for your arrival to this very same condo when you come next year! !